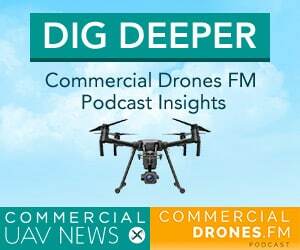 The drone industry report for Q4 2017, brought to you by Commercial Drones FM. Get briefed on the most important and newsworthy happenings from the previous quarter in the drone industry—all in less than 15-minutes. Covered topics include drone hardware, drone software, regulations, drone delivery, funding, mergers and acquisitions, and more. 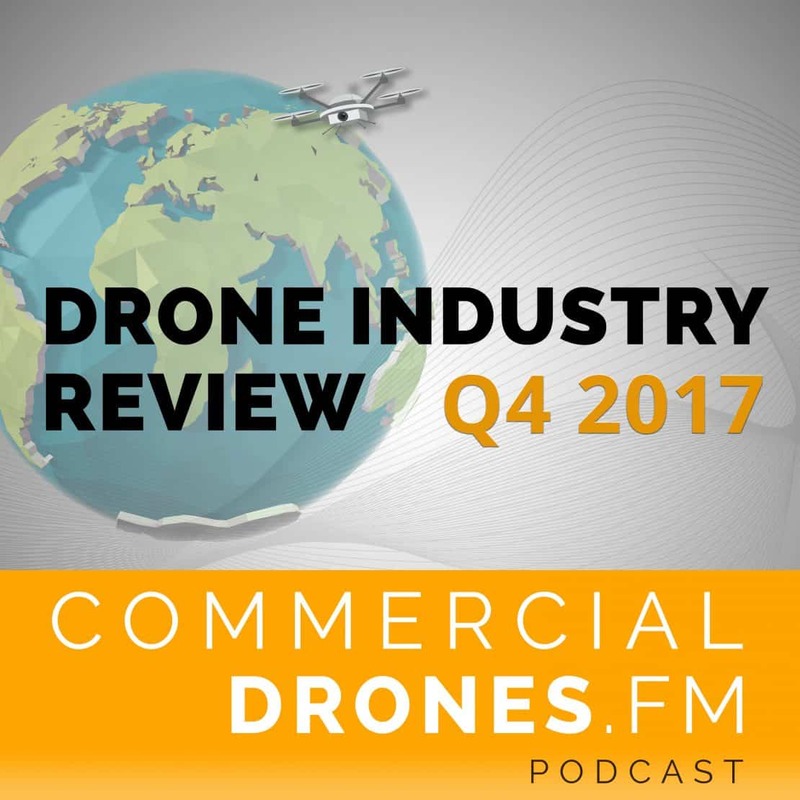 Get the full Q4 2017 drone industry review episode transcript below. Welcome to your Drone Industry Review for the 4th and final quarter of 2017. If you’re new here, the Drone Industry Review series is meant to give you the most important drone industry news from the past 3-months, in less than 20 minutes. If you haven’t already heard, I’m giving away a DJI Spark drone with a street value of about $500. It’s super easy to join the giveaway and there are multiple ways to enter, just go to commercialdrones.fm/spark – I’ll be drawing the winner on February 5th. Alright, let’s get this episode started. Here’s your Drone Industry Review for Q4, 2017. 20 minutes on the clock—game time. First up, as usual, is DJI. The Inspire 1 turned 3-years old on November 12th, 2017, which shows the impressive longevity of that platform since it’s still being used on commercial jobs today. DJI released a new, larger Zenmuse X7 camera, two new versions of its modular Wind drones, a TB50 battery charging station with LCD screens, and AeroScope, a hardware unit that allows the detection and monitoring of nearby drones, designed for authorities. The company also unveiled a limited edition Mavic Pro drone in a blinding, Alpine White colorway for the holidays and it started as an Apple Store Exclusive. New leaks suggest a high-accuracy Phantom 4 Pro RTK drone version may be on the way but DJI has not confirmed this. Coming next for hardware is Parrot who unveiled two new quadcopters; one for ag, equipped with a Sequoia multispectral sensor, and the other with a FLIR sensor for thermal imaging. They’re named, Bluegrass and Bebop Pro, respectively. Other hardware news comes from Skycatch, who revealed a new, A.I.-infused PPK base station and drone – which looks to be built using DJI hardware components. Closing out this initial section brings Verizon, or rather, Skyward, a Verizon company, who have made clear their plans to pursue widespread aerial internet connectivity with some forthcoming hardware and reference designs that will enable 4G LTE connectivity in mid-flight. Can you hear me now? Let’s talk about the ones and zeros. Or rather, a whole bunch of zeroes. DroneDeploy announced that their users have processed 25 million acres of drone data through their system, to the tune of 2 million images every week, and powering hundreds of thousands of drone flights. This was all displayed at their 2nd annual “DroneDeploy Day” User Conference which brought together over 100 of the software company’s customers and partners from around the world to discuss their own operational growth and learn from each other about scaling commercial drone operations. And Dronebase popped out one of the most innovative developments in recent memory, their AirCraft ARbeta. Basically, it’s a software feature that enables you to play a type of persistent Minecraft-esque drone building block game in the sky but actually has a bevy of potential commercial uses. DJI showed that they’re not afraid to get into the software subscription game by introducing Flight Hub drone operations management software. 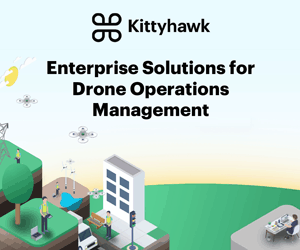 Which also happens to be very similar to another new release this quarter, Kittyhawk’s enhanced enterprise software and group collaboration suite. Both DJI and Kittyhawk’s products seem to support live streaming of data from the drone, back to the office. You’ll probably recall the Low Altitude Authorization Notification Capability system, or LAANC, that the FAA concocted for us last quarter. Well now there are 3 approved software providers of the service – 2 of which have mobile apps to use with it, AirMap and Skyward. The 3rd? Google X’s Project Wing – I wonder if we’ll see a LAANC app from them this year. And finally, there’s a new app for on-demand drone insurance in the form of Flock Cover, offering UK-based drone operators both hull and liability insurance rates starting from 5 quid an hour. As of November 1st, 2017, there were over 62,000 remote Part 107 pilots in the U.S. – Overall, commercial drone registrations climbed this year in the States, while recreational registrations fell. No doubt this was somewhat affected by the removal of drone registration requirements for Hobbyists – but not too fast – Hobbyist drone registration is now back and mandatory! Thanks, Obama. Unfortunately, we’ve had an aerial collision. A drone collided with a passenger plane in Canada (everyone was ok) and the Seattle man who had previously ran into the Space Needle in 2016 was recently charged with reckless endangerment. And what about the chap who ran into the military helicopter? The NTSB opened its first investigation into this incident which shows he was operating BVLOS and at 300’ AGL. As Christopher Korody from Drone Business Journal Reports, the way that authorities were even able to find the man was by tracing back the serial numbers found on the damaged drone components to sales records of who bought the drone. They were the same guy. The firm, Hogan Lovells, assisted CNN to win an important, precedent-setting FAA waiver for obtaining the approval to fly over people not directly involved with the drone operation. The FAA now officially recommends remote pilots wear bright, reflective vests during operations. Safety first. And the UAS Integration Pilot Program – or Drone Integration Pilot Program, DIPP – was introduced among heated controversy that it’s not exactly efficient, fair, and could create a confusing patchwork of drone regulations. The program is set to last three years. On the same topic, the official Facebook group for Lead Applicants and Interested Parties of the DIPP was created by the FAA but has received a ton of criticism inside of the group itself, with many members proclaiming that it has done absolutely nothing to help facilitate dialogue between Lead Applicants and Interested Parties, with nary an FAA spokesperson in sight. As a member of that group, I have to agree. Memes just do not belong in federally-sanctioned social media groups. For your international drone regulatory news, India has finally released draft rules for drone operations – before this, they have not had regulations, which led to a total ban. Australia’s Civil Aviation Safety Authority (CASA) has tightened its rules governing drones. Boeing was also in the process of buying Aurora Flight Sciences, a researcher and developer of autonomous drones and aircraft. And the Commercial UAV Expo acquired Drone World Expo to form the largest and most important event in the commercial drone industry and I’m happy to report that as of January 2018, I’ve accepted a position on the Advisory Board. In partnerships, The Climate Corporation has entered into agreement with Deveron UAS to deliver on-demand aerial imagery data to farmers for enhanced crop analysis. And then, the biggest shake up of the quarter. DJI, amid their lion’s share of controversy, had a very public confrontation with a bug bounty hunter which escalated to reported legal action against the security specialist. This is after DJI was accused of sending data from user’s own DJI drones to the Chinese government, which DJI denies. 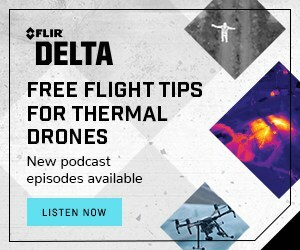 If you’re interested in the full juicy details of this story, check out episode #61 of the podcast where I managed to secure an exclusive interview with DJI’s Managing Director of North America, Michael Perry, to discuss all of these claims and more. Q4 ‘17 brought a lot of action from delivery drones, instead of just patents. But before we actually get to the action, let’s get to our usually scheduled Amazon patents. This time they were granted one for being able to recharge a drone from an autonomous electric car and one for a self-destruct system that would be installed on its drones. During emergencies or catastrophic failures, a “fragmentation controller” would take over, finding safe spots where the drone could explode itself mid-air. The goal is to avoid crowds and other dangerous areas. WeRobotics tested a fleet of cargo drones in the Amazon. No, no, no, that’s not another Amazon delivery drone patent, that’s the Amazon rainforest. X’s Project Wing is testing out drone deliveries of food and pharmaceuticals directly to people’s yards in Australia. Rakuten is using its drones to deliver hot food to residents in a Japanese town struck by the Fukushima nuclear disaster. Alibaba used drones to deliver packages over water, a first for the Internet giant. And Bell Helicopter recently unveiled a drone capable of transporting 1,000 pounds of payload. South Africa hosted the world’s first drone fishing tournament. A real, live human being drone pilot beat A.I. drones in a timed race. And drones imitating art – previous podcast guest, Lucas Van Oostrum and the team from Studio Drift in the Netherlands collaborated with BMW to produce a 300-drone light show in Miami. 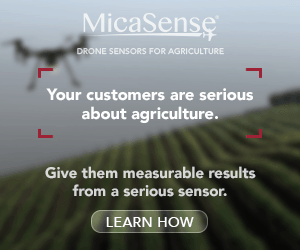 Delair partnered with John Deere to provide aerial intelligence for agriculture. A team in India will launch a drone prototype that sprays fungicide to control fruit-rot disease. And South Dakota State University received a gift of three AgEagle RX60 agricultural drones. Dedrone Launched their Next Generation of Machine-Learning Software to Counter Malicious Drones. Police used a drone to locate an 81-year-old woman who was lost in a cornfield, which was a great choice of tools for the job. Drones will be watching over beaches in certain parts of Australia soon as well, hoping to catch a glimpse of that nearby shark before it catches…. You. Tipping me off on this one was again Christopher Korody – the U.S. DOI, one of—if not the—largest small drone operators in the world (with a fleet of over 200 drones), released their 2017 DOI UAS Mission Summary which states that their employees have over 200 Part 107s, flew 5,000 missions, and expect a 50% increase for 2018 compared to 2017. Police are using drones to monitor traffic in Dubai. Officers control the 4G-equipped drones from a command room (that’s BVLOS, everyone). The drones transmit a live broadcast of roadways to police, who can send out patrols to respond to accidents or ease congestion. They can also alert the public about traffic issues through social media and other channels. And the most conflicting somewhat sad, somewhat happy news I’ve heard all year – Dutch police retired the badass convocation of drone-catching eagles because apparently, there just isn’t much of a need to intercept robotic fliers. And that’s that. Your drone industry review of Q4 2017 is in the books and it seems like we’re getting even more efficient on the timing – that took less than 15 minutes in total. Now, as a reminder, because I’ve gotten feedback about this before, as a one-man show, I’d like to state that I, of course, can’t capture all of the drone news that happens each quarter. Because there’s a lot of it. So, sometimes I may miss or gloss over something – but I assure you, it’s not intentional. This Drone Industry Review series started off as a slightly fun yet fairly hectic way that I could keep myself up-to-date on the latest happenings in our industry and, honestly, I’d like to keep it that way – because I actually really do enjoy it and hope that you do, too. So here’s an important message. If you do enjoy the podcast, I would be grateful for your support. And there’s so many ways you can do that, like telling a friend or a co-worker about it or even leaving a review on Apple Podcasts. Well, I’ve got nothing else to say. Have a great 2018 and fly safe. Oh, and thanks, Pea for the voiceover action. Cheers.